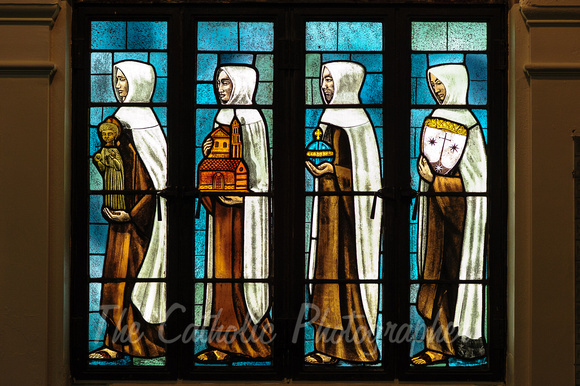 The Carmelite Order has been blessed throughout its history with men and women outstanding in zeal for God and the spread of His Word wherever they have found themselves. Some of these have been elevated by Mother Church to the ranks of the Blesseds and Saints. Below--listed by month in order of the saints' feast days--are all those from the Order who have been either canonized (St.) or beatified (Bl.). To the left are articles about a few of the more notable of these Carmelite saints. Just click on the name of each saint you would like to read about.